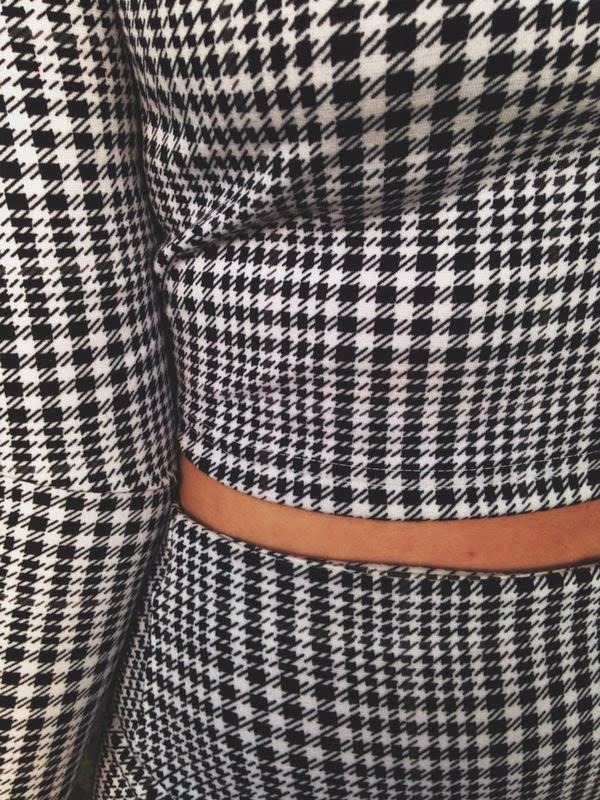 How cute is this Co-Ord from Lily LuLu. 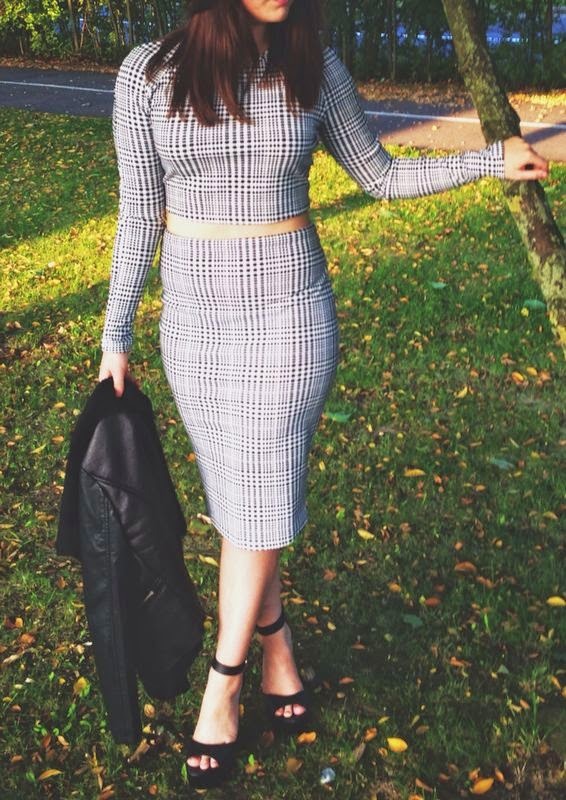 I 'm really loving them at the moment as their pieces are all so gorgeous and perfect for this A/W! 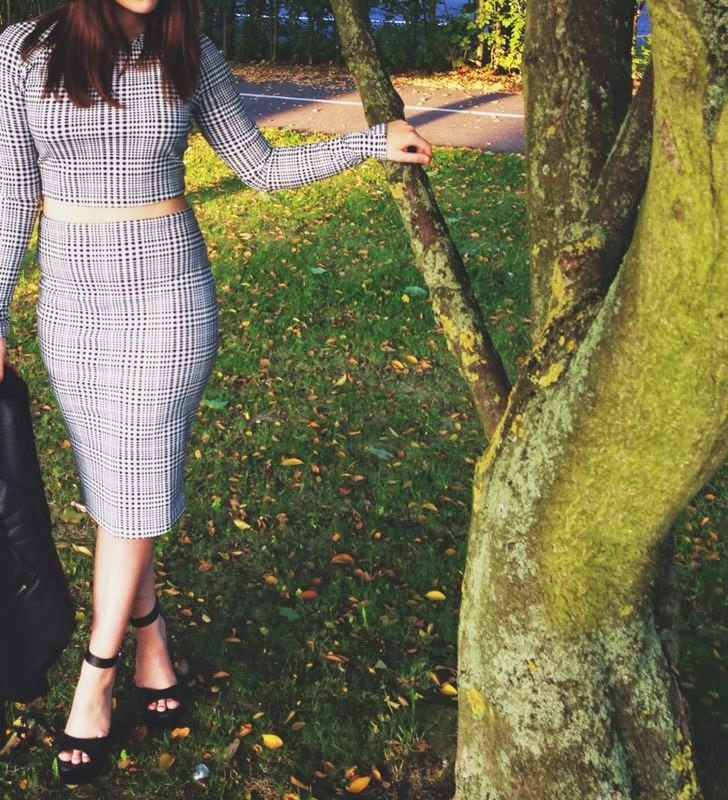 I've always thought that the dogtooth print is very A/W, alongside tartan and checked. 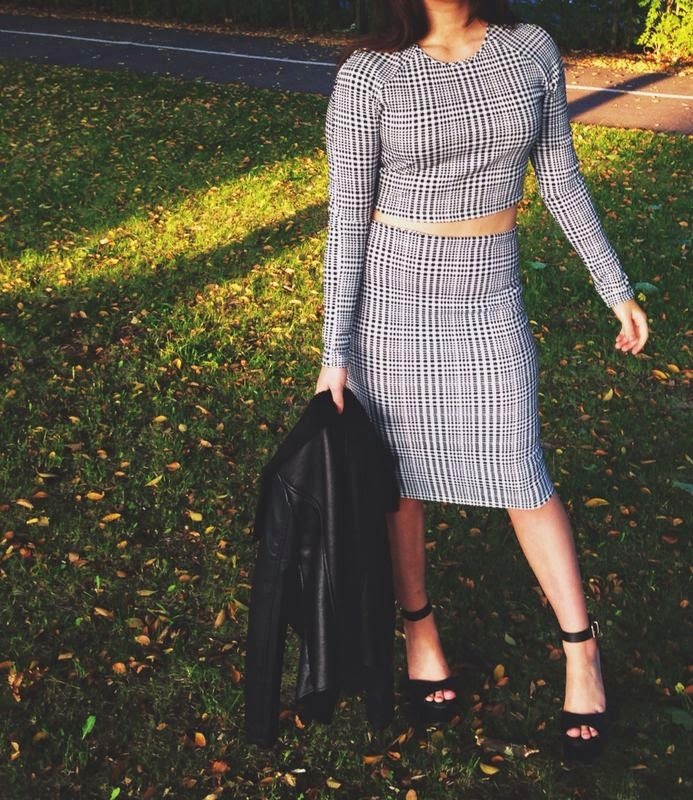 You can dress the Co-Ord with tights, heeled boots, black coat and a black floppy hate for a classy winter look, or pair it with heels and a clutch for a night out! It's very versatile - which I love. I was debating whether to feature my gorgeous "Brandi" shoes from Public Desire as i have only just featured them in my last post! However, I couldn't resist, I just love them! They're so comfortable and easy to walk in, which is always key when I'm looking for heels. The coat I have featured in this post was kindly gifted to me from Lipsy, and is from the Michelle Keegan collection. Although I'm not wearing it in this post, I felt like it worked so well with this look and needed to feature it. More looks featuring this piece will be blogged soon!! So beautiful! Your blog layout is looking amazing too!